I’ve always loved baking. One of my first baking memories was making a cake for Charles and Diana’s wedding in July 1981 – I was 7. It was frosted red, white and blue. Baking was a favourite rainy Sunday afternoon pastime, for me, as a child. My Mom, always keen for me to get ‘hands on’ would leave me to my devices, with minimal supervision. I learned a lot. Once I moved into my own home, when opportunity arose, I would make basic cakes and cookies for visitors. For my young niece and nephew I would make ‘dog poo’ cookies (aka chocolate chip). Looking back it was a little distasteful – but it got a laugh – which was my intention. For the Hubby’s 40th birthday, while I was heavily pregnant, I made a mountain of cupcakes. It was panic stations when the snow began to fall and they needed delivering to the restaurant as a surprise. But my baking really took off after I had my own children. As a child myself I always had a personalised birthday cake from the local bakery – I would flip through their catalogue of designs before settling on the one that was perfect for me. It’s a very happy memory. I wanted to recreate that for my children. Not content with buying a cake from another baker, slowly I acquired the skills to make my own and decorate it from scratch. My post Making It – A Simple Birthday Cake today is within the top 5 search on Google UK. I became so proficient, that I began making them as gifts for family and friends. A couple of years ago I even considered starting a bakery business. My children are growing so fast. My daughter is soon to turn double digits – how did that happen? They have their own hobbies, which take up lots of time and energy. But they love what they do, and I do too. Have I ever mentioned I’m a ‘Dance Mom’, and the Hubby is a ‘Swim Dad’? My Mother is getting older, and needs more support in all aspects of life from her own children. Which we are very happy to do. I’ve resurrected my own business, which I’d taken a break from when I first started blogging at the end of 2010. Rather than start from scratch a new bakery business, I returned to my trained profession of some 20 years. It’s early days, but I’m feeling invigorated and ready to take on the world once more. Oh and I turned 40. Where’s this post going I hear you ask? I’m decluttering my baking cupboard this week. It’s time to move on – I need to make some space for my new life and commitments. As much as I have loved baking it doesn’t fit with where I am now. Hanging onto all the equipment and paraphernalia will be a constant reminder. And the items will deteriorate through lack of use. There are others who are actively baking who could put it to good use. And frankly I can do with the cupboard space in the kitchen. I’ve just finished reading ‘The Life-Changing Magic Of Tidying’ by Marie Kondo (Thank you Sharron once again for forwarding it to me). There is a lot in the book I have never encountered before regarding the subject of decluttering (or tidying as she calls it). It was so interesting to read a new approach to organisation. So much so I will be sharing my thoughts on this book in a separate post. Marie talks a lot about discarding. And she has a rather unusual approach to it. Which I found very interesting. But as I said, that’s for another post. What do you need to move on from? I must say I am a little puzzled. I actually thought you already have a cake business. I can’t wait to hear more about your refreshed business is. I can’t wait to hear more about your refreshed business. 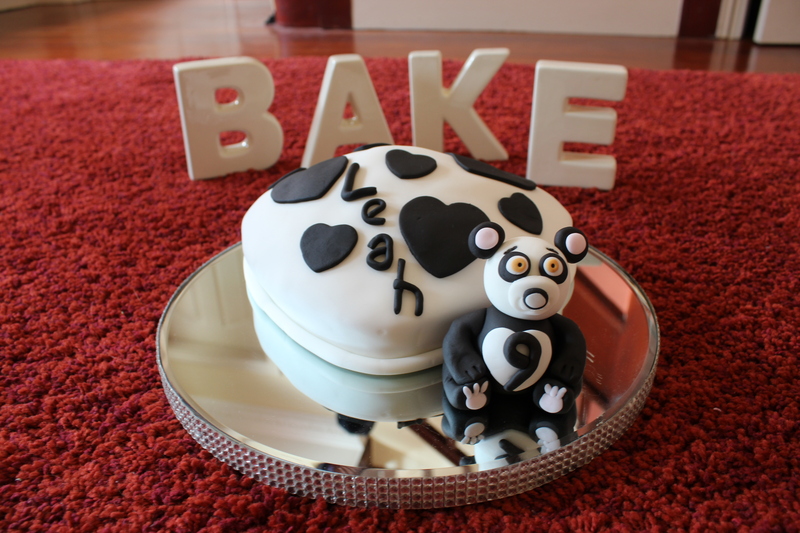 I think I did post about starting up a cake business a while back. It never got off the ground. I baked a lot but just as gifts for family and friends – couldn’t make that transition from hobby baking to a business. Loss of motivation and interest crept in. Last year I decided to return to my freelance marketing consultancy work. Well, once you lose interest and motivation, and if you have other options, you are right to change hats. 🙂 “Freelance marketing consultancy” sounds intriguing! What does it mean? You used to work with non-profit organisations, am I right? Yes, I specialised in charities for a long time, but have moved onto small business marketing. I’m freelance and have multiple clients with different needs. The variety of it suits me down to the ground. Baking seems to bring you pleasure, so I hope that you hung onto a little of your equipment. Good luck in your new endeavors. Yes I will hang onto some essential items but I have such a lot that I will never need again. I’m sure that those who will take the items off my hands won’t mind me borrowing something back should I suddenly discover I need it. But I can always repurchase things if I do get it wrong. I will be very interested to read your thoughts on the Marie Kondo book as I’ve read so much about it online. I may request it from the library. Was her approach to decluttering one of the things that led you to decide to weed out your baking materials? Not so much with regard the baking equipment, it’s been on my list for a while to cull it. Rarely do I read a book and it introduces a completely new approach to things. This book did in certain areas. She’s not a fan of doing decluttering gradually. I’m a very open-minded person but some of the advice toward discarding items raised even my eyebrows – but when I thought about it, I think she might be onto something! I’ve also realised that a project that has sat around unfinished for two years should probably just be disposed of. If I haven’t done it yet, I probably never will, right? I still have a cedar chest full of mementos from my wedding, which I’ve been planning to turn into artistic creative memorabilia… It’s been 7 years since I got married, so am I ever going to get around to these things? Not sure what is stopping me. Every time I look at that chest I think about what is inside and feel defeated. Why do we do this to ourselves??? I now have two children- a baby and a toddler, and I am aware of how much of myself has been “lost” in becoming a mom. There are things I want to do that feel essential to my life. Nothing big, just things that make use of my specific strengths. I used to beat myself up, feeling like I had to do everything all at once. But I’m realising that I don’t have to be so ambitious. I can pick maybe one or two for now. Then later as I have a little more freedom when they become more independent, I can continue exploring other personal endeavours. I feel a lot more free without all this emotional guilt I was putting myself through, feeling that I had to do everything at once. So I guess what I’m giving up and trimming away right now is unnecessary guilt. The mommy guilt we all experience!! :). I have to be more mindful with my time and pay attention to doing what makes me feel like “me,” but give myself a break and recognise that in my current time of life it isn’t possible to have as many creative outlets as someone with no children/older children. Doing something doesn’t mean I have to do everything! Sarah – I really enjoyed the ‘mini-book’ thank you. I blog about my life, and when I get to read about your life it makes it much more of a two way conversation. Theres much in your comment I can relate to. But I’ll deal with the wedding memorabilia in my reply. I kept such a lot but have never got around to doing anything with it. There’s a box in the garage plus other piles of papers, photos etc that are hanging around. But much worse is all the sentimental stuff I kept after having the Kids. I’m writing a post (probably next week) about this very subject. I even have a guest appearance from a well-known psychologist who generously gave me some advice. 25 years on and eventually (after about 20!) found an attractive box for my dried bouquet, ribbons and a few trinkets I’d kept, packed them up, put a matching ribbon round – and have never looked at it again since. I had made one “selective” album quite soon after (within 10 years lol) but all the other photos were in a numbered file so that guests could choose what they wanted – needless to say, they are still there after all this time. Nobody wants to look at all those pics of people they don’t know: the small album is adequate to look through occasionally if the subject comes up (oh so rarely!) and I have gone and leafed through the file occasionally, so I wouldn’t want to get rid of them, it doesn’t take up much space. I do still have my dress – and my daughters’ dresses! – taking up space, but that is ok by me!! Congratulations on your new endeavour, exciting times ahead!! I mentioned before but im moving on from certain ways of behaviour that facilitates too much negativity in my life. Feels good. Thanks again for the book Sharron! Good for you! It takes guts to let go of hobbies. When the passion strikes again you can pick up better supplies. I’m a constant de-clutterer and can never find things I need when I need them since I’m always tossing them out or consigning them to make room for other things. I’ve found that it makes me happiest to live clutter free and buy things later when I need it. I hate spending the money, but it beats being a hoarder. Storing surplus items not only costs physical space but mental space also. I’m certainly apt to agree I’d rather replace than store! Looking forward to the post on Marie Kondo’s book! The slow and steady approach works for me, but I always like to hear new ideas because they might ALSO work for me. And I need all the inspiration I can get! You are brave to declutter your baking things – and very, very wise. What do I need to move on from? I have an enormous amount of clothing that I use as my crafting stash – I realized today (as I searched in vain for something specific and could not find it) that I have more fabric in the form of clothing than I could ever use in my lifetime. Some of it was originally mine, some I bought at thrift stores for sewing, and some of it was given to me. I am going to weed out what could be donated in its current form (as clothing) and see what is left. I think I’ll need to set up another criteria for disposal then, as I will still have too much. Welcome to SimplyBeingMum – one mother’s personal website documenting the journey toward a family life simply done. Here you will find a collection of recipes, ideas, musings and philosophies related to families who feel a pull toward a more conscious, mindful and simpler way of life. You don’t have to homeschool or bake your own bread daily (I do neither of those things) to hang out here. At whatever stage of your journey, you are on, you are very welcome. I personally still have a long way left down my own path and find that by blogging about it, it helps to keep me on track. Please stay a while, have a meander around, see what takes your interest, and do join in the discussion. What Will You Do For 1 Day? Simply Being Mum © 2019. All Rights Reserved.